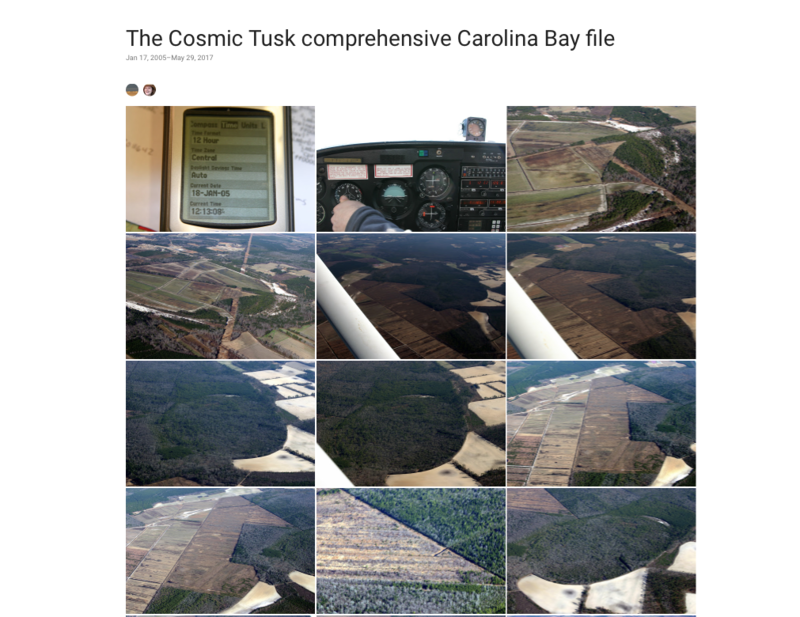 The Tusk has had several requests for Carolina Bay images lately, including drone video for a forthcoming episode of “What On Earth?”, the most popular show on Discovery Science. In the process of putting my material together in one place, I realized how cool it would be to share my meager but unique collection with anyone who wants to look it over or use in some way. What also intrigued me is the incentive a public archive would provide for me to obtain more drone coverage of bays. I am lucky to have nearly limitless access to drones in my work. (They come in very handy when you manage 120,000 acres of evolving ecology at 50 locations). In the old days, for work and bays, I hung my head out of Cessna’s with a Cannon, which quickly turns from great fun to very old. So, in the last few years, as drone technology improved, I constantly felt the need to get out there and nail the bays with these incredibly intelligent, nearly self-flying, perfectly balanced and steady, aerial cameras. But how best to share? I hate the idea of tediously selecting a half-dozen pics and maybe a video or two from a trip downeast and posting them individually with custom narrative. After some consideration, my belief now is that it is much better to just throw it ALL out there in a single permanent public file and let people “have at” the material. Less selecting, editing and narrative for me — and more bays for you. So, now that I have a proper approach, I plan to drone-the-hell out of bays well into the future and add the material to this file as frequently as I can. I should note that while this is MY comprehensive bay file, it is hardly a comprehensive treatment of the bays in general, and probably will remain uncomprehensive for some time. Considering their stupefying range and number across the US, and several documented morphologies, the file at this point is mearly snapshots (many of them very bad photos or taken under poor conditions) from a relatively few North Carolina locations and do not cover the subject adequately. But this collection is surely the best available archive right now from which people can peruse — or use — Carolina bay pics and video. So, have at, and please use the images in any way you like. No license from or attribution to the Tusk is required for any use whatsoever of this media.